Fail of week: WS2811 VU-Meter | Psychic Inside! 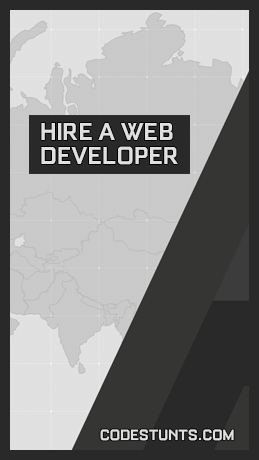 after the few commercial projects, i got some "me-time" at last. i sold all of my geek toys and some trash on ebay except few arduino boards and shields. and i tried to make something useful from this spare parts. WS2811 is a digital adressable rgb led controller unit. 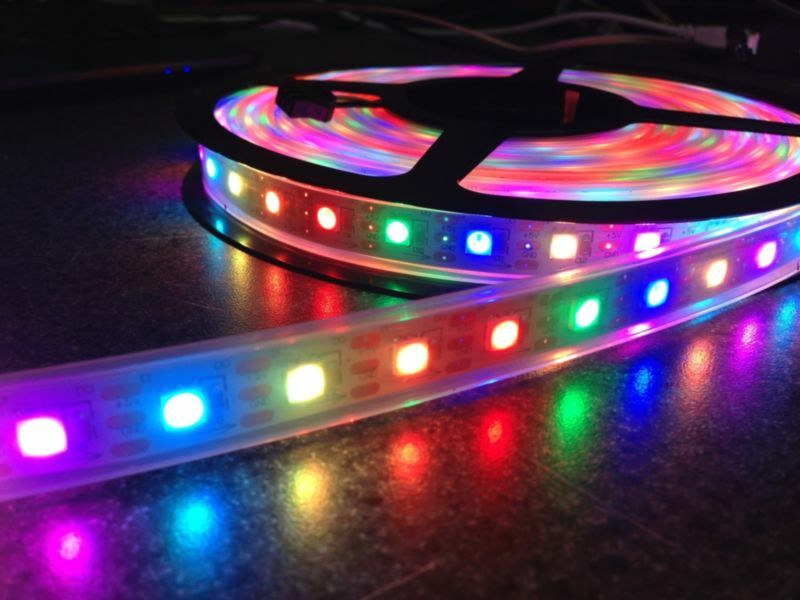 some eastern tech-manufacturers developed independent color led strips by combining rgb leds and that chip. 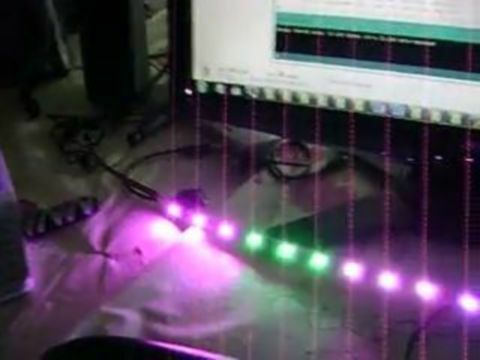 i purchased half-meter length sample and tried few tests with arduino. looks like working ok but the problem is ATmega8 clock rate too slow for this kind operations. an ARM or FPGA based board required for real light shows.